Official Rules and Sign up can be found at Bookmark to Blog. I always say that I am going to read more Non-Fiction books but never do. 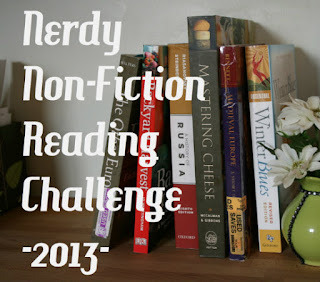 Thanks to my book club I have read more Non-Fiction books in 2012 than in any of the previous years. So, to ramp that up just a little I have decided to sign up for this challenge also. This is quite an interesting list. Medical Apartheid is already on my radar but it hasn't quite made it to my TBR. I'm going to check out the rest of these. I've been wanting to read Medical Apartheid for years. I think at one point I even owned it.